Inspiring our children to be leaders, innovators and stewards of our world. We invite you to watch the Montessori method come to life. 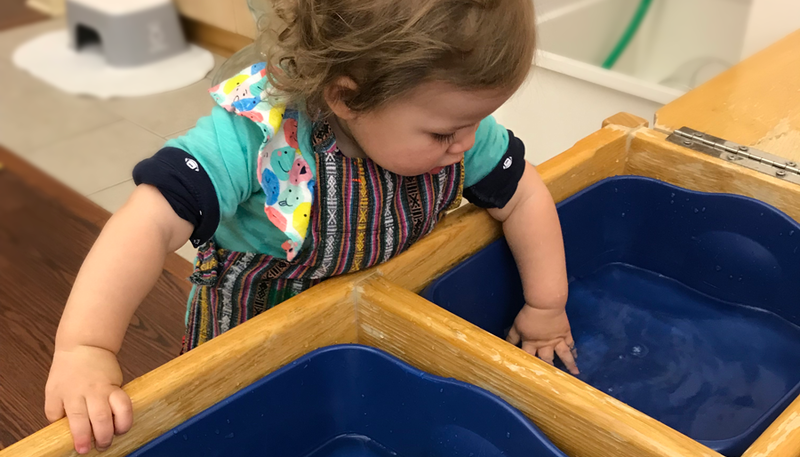 We are committed to following the Montessori philosophy to create a nurturing, stimulating environment that promotes concentration, coordination, a sense of order, independence, grace and courtesy, and the life skills needed for each child to reach his or her full potential. "Accreditation begins with an intensive self-study, by the school, involving the school’s entire community—students, staff, faculty, administration, board members, and parents. During the process, every aspect of the school is examined and documented, including governance, curriculum, fiscal and personnel policies, facilities, health and safety practices, teacher preparation, and learner outcomes." We are proud to be designated a Level 10 School by the American Montessori Society. This means that we have achieved the highest ranking—actual accreditation—within the Montessori community. Participation in the Pathway process sends a signal to the community that we are committed to best practices and ongoing improvement. The benefits are many; an empowerment of the entire school community, continual improvement and an assurance to families that their school is of the highest quality and accountable to a larger body. Every parent wants only the very best for their child, and choosing a school you can have confidence in is of the utmost importance. We invite you to use the link below to make an informed choice and see which schools in your community have committed themselves to accreditation, maintaining the highest standards of the Montessori philosophy. Find an accredited Montessori school. The Parent Child program is designed to allow a child to explore the environment as the parent or caregiver observes. 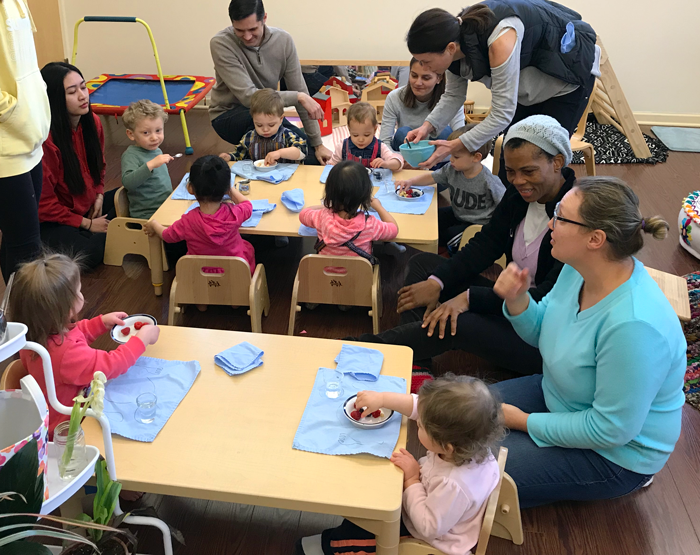 Emphasis in the Toddler program is placed on helping the young child develop coordination, body image and awareness, a sense of order and concentration. The Primary Program is a three-year program inclusive of the kindergarten year and for children ages 3-6 years. Summer Camp is the ideal way to help your child transition to the next program.